High-speed Data Transmission 2.1 – What’s new? HTTP/HTTPS standard port sharing – Instead of providing non-standard access port to our customers, HDT 2.1 allows customers to use standard port 80/443 to accelerate their HTTP/HTTPS applications. New bandwidth page – Support up to 1-year time period bandwidth query with global time zones and 5 different resolutions (1-minute, 5 minute, hourly, daily and monthly) options. It can also display upload, download and total bandwidth graphs with zoom in/out functionality. In addition, administrators can download raw data in .csv format from HDT customer portal to share bandwidth usage information. We look forward to delivering this update to our current customers. If you would like to learn more about High-Speed Data Transmission, visit our product page or contact our team. You can also tweet comments and questions to @Team_QUANTIL. 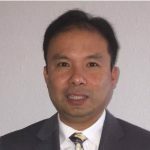 Kenneth Chiu is the Product Manager for Stream Acceleration, Enterprise Acceleration and Cloud Security at QUANTIL and provides expert opinions on acceleration solutions for live streaming, enterprise applications, DDoS mitigation, web application firewall, and mobile website delivery. 2017 QUANTIL, All rights reserved.